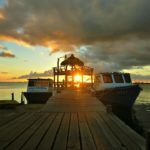 Looking for the best Utila Dive shops? Here are your different alternatives! 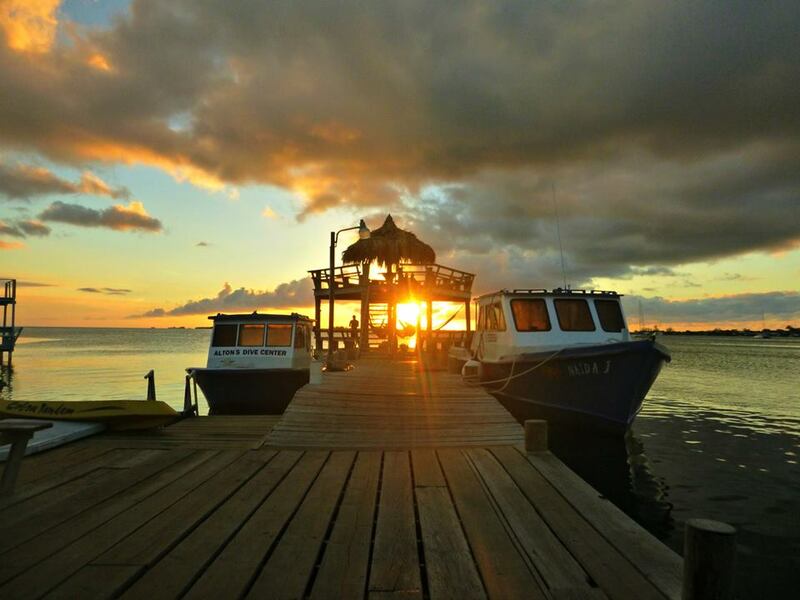 Sunset at Alton’s Dive Center facilities in Utila. Altons in a locally owned dive shop that specializes in small groups. 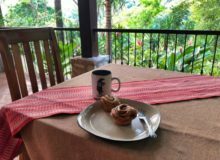 They offer good quality, private and dorm rooms right on their property. 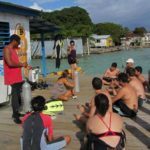 They offer a variety of PADI IDC courses for you to choose from in several different languages, including, English, Spanish and others. 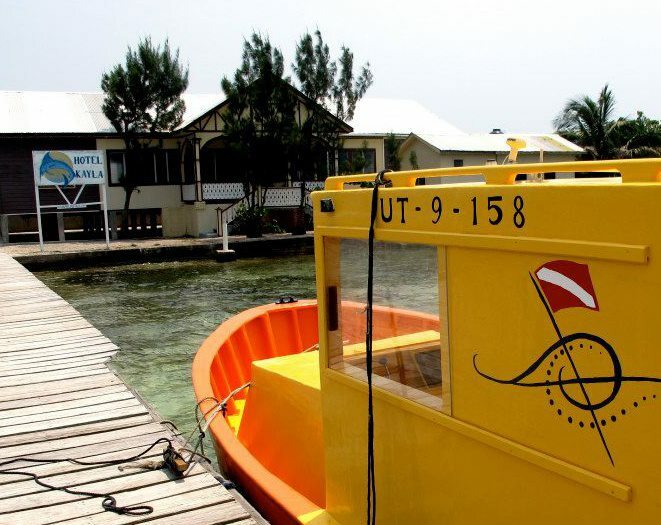 Altons Dive Center is the farthest Utila Dive facility if measured from the dock, however it is still within walking distance, so do not let this discourage you! Diving in the clear waters of Utila with Underwater Vision. 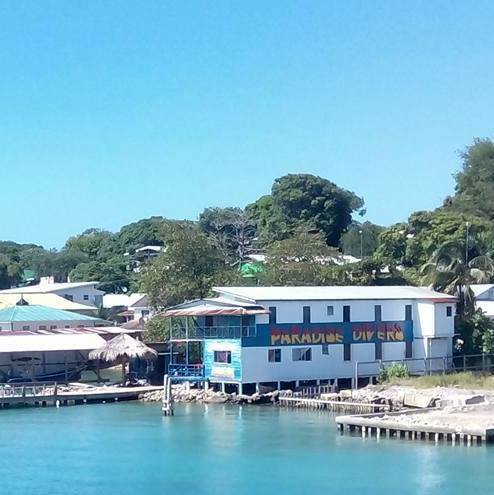 A locally owned PADI five star Instruction Development Resort that operates in conjunction with Hotel Trudys, Underwater Vision has been around since 1991, and they have plenty of experience and have helped many a diver to go professional and make of their diving passion a career! They offer a diversity of programs and can help you out by creating a deal just for you! Dorm accommodations are available with the different courses. 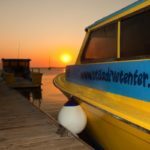 Sunset after a great day diving with Utila Dive Centre. 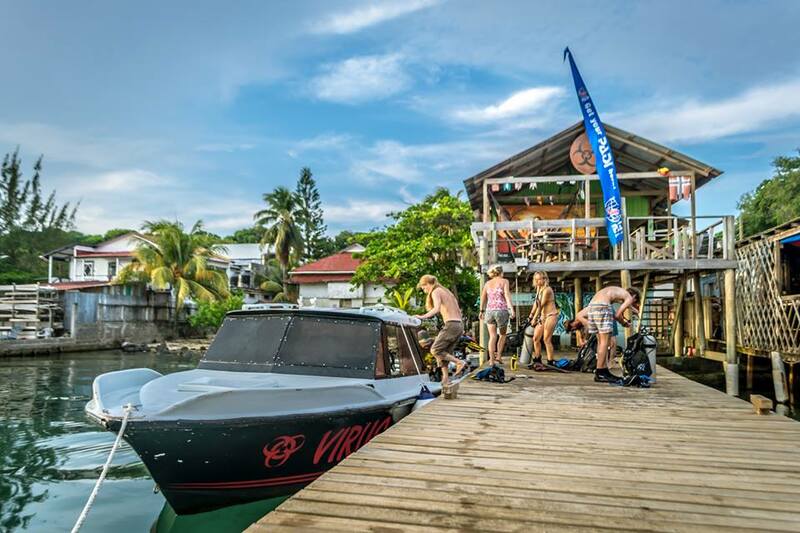 The first and original of all Utila dive shops! 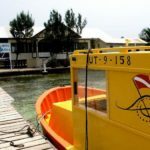 Utila Dive Centre, also known as UDC is part of a larger group of hospitalitaly and tourism related businesses on the island, that include the Mango Inn and CrossCreek. The UDC specializes in small groups and offer scientific experiences through Aquaterra experience. They are responsible, professional outfit that you can fully trust! 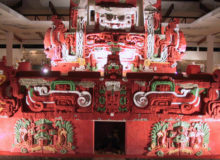 They have won several PADI awards and recognitions over the years. 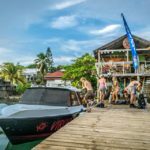 Considered the most budget of all dive shops, and always willing to negotiate and barter, Paradise Divers only offers diving courses in Spanish, and therefore works more with the local Honduran and Central American markets. Divers getting ready to go do what they love: diving! 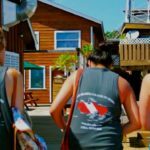 Owned by Utilians, and with a strict only local dive master policy, this is the one Utila dive shop that guarantees that you are actually helping local people while on the island. 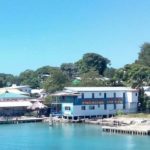 They are centrally located in town, and their facilities are easily seed from the municipal dock as you arrive to the island. 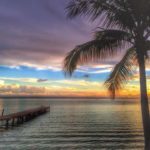 Parrots Dive Center is a great option to get Scuba Certified! 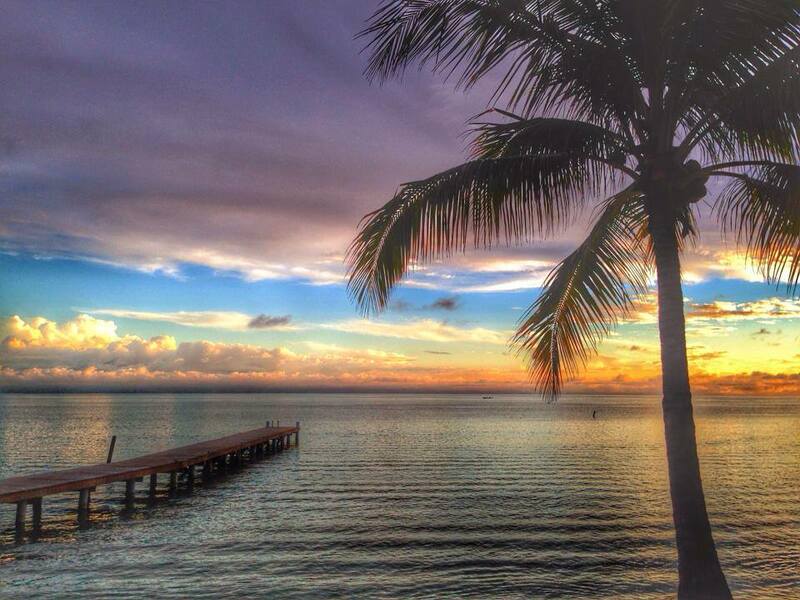 The Bay Islands College of Diving is associated with the Utila Lodge Diving Resort. One of the larger Utila Dive Shops, the Bay Island College of Diving is part of the Utila Lodge and the Whale Shark Research Center in Utila. 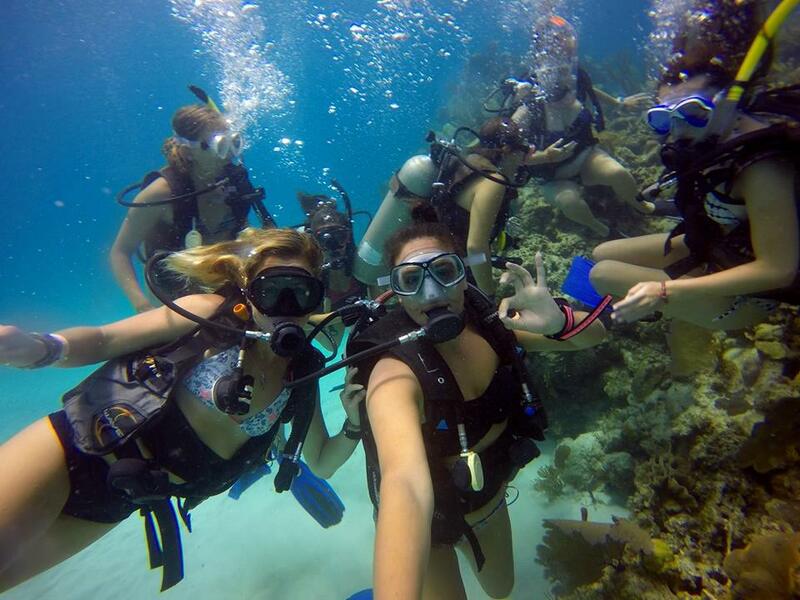 They offer a professional operation with diving courses in different languages. Because of their relationship with the shark organization, you have a greater chance to see the magnificent and gentle whale sharks while diving with them. Part of the Pirate Bay Hotel, which is located next to the Hotel Utila, Captain Morgan’s is one of the best organized Utila Dive Shop. The site is conveniently located right on the water front, allowing departures from within the hotel itself. Good dive boats and equipment and friendly service make of it one of the most popular dive shops. German owned and run, Ecomarine is one of the most professional outfits in town. 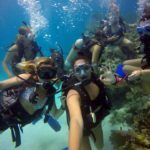 They concentrate on your diving experience, and therefore are not out offering free or discounted hotel rooms or hosting for divers. 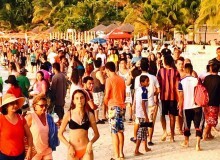 They do not promote party scenes and have a strict, by the book small group policy. 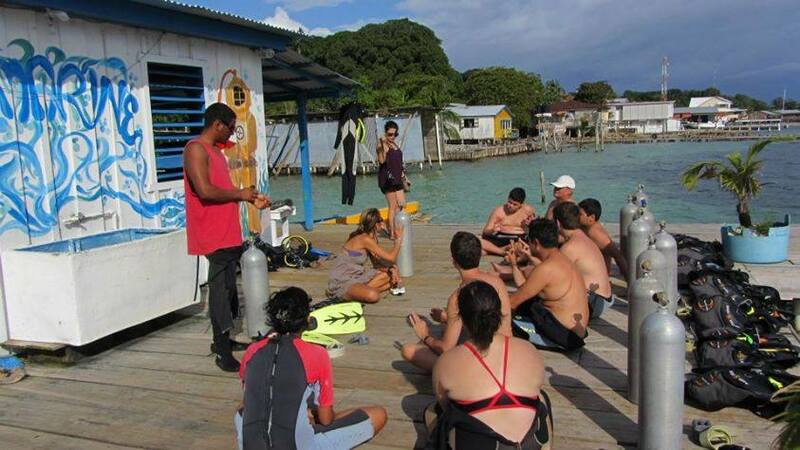 They offer a variety of PADI IDC courses and participate actively in local environmental ngo’s. If you are serious about diving, Ecomarine is a great alternative! ready to jump in for your dive? 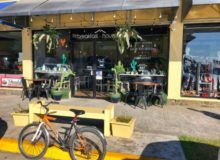 Located on the upscale Laguna Beach Resort, this is one of the most exclusive Utila Dive Shops, catering only to the Laguna Beach Resort guests. 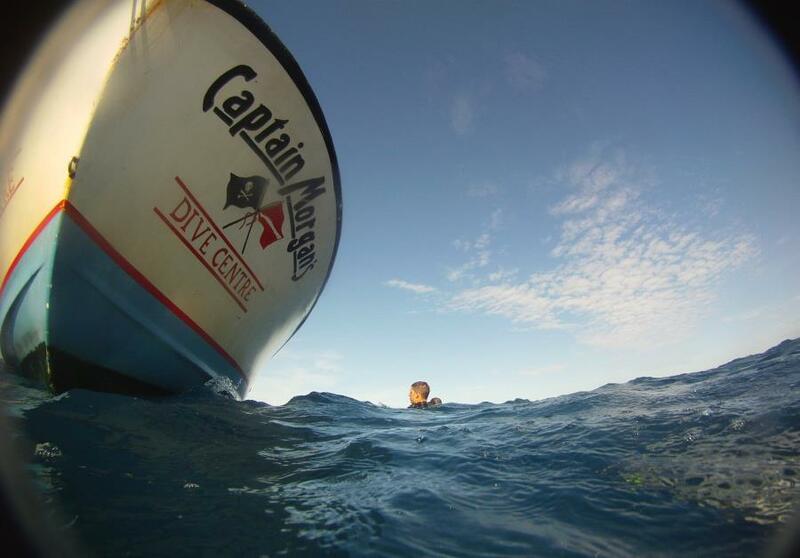 First class dive boats and equipment and professional dive masters. 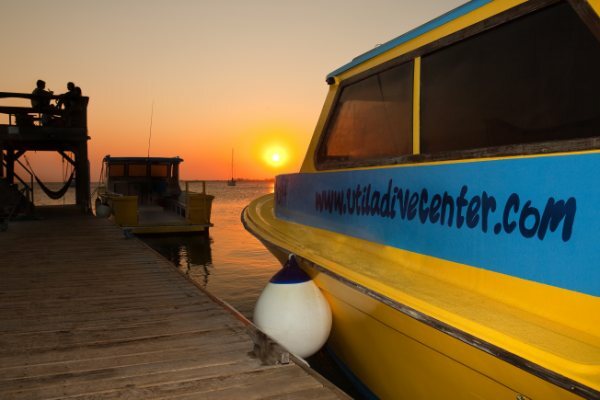 If you are looking for a deluxe diving experience, this is one of your best alternatives on the island of Utila. 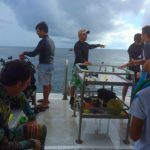 Part of the operation of the beautiful and upscale Utopia Village Resort, this dive operation works closely with divers scientific institutions. 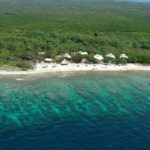 Certainly a great alternative if you are not on a tight budget and can afford staying at the World Class Utopia Village, where you can relax on some of the best beaches in Utila. Utila Cays diving is the only Utila dive shop in the Utila Cays. The only Utila dive shop in the Utila Cays, this outfit allows you to fit into the small community known as the Utila Cays. 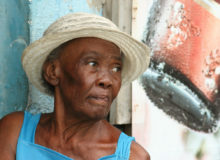 Here you will enjoy a quiet side of Utila, in a charming community, with several small private cays nearby. Access to unique dive sites is close and the operation guarantees small groups and absolutely no “cattle diving”. Accommodations are provided with the Hotel Keyla the largest lodge on the cays that sits on a lovely corner and with great shore snorkeling and diving from the dock. 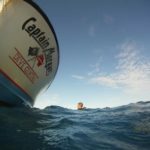 Utila Cays Diving offers a unique experience! 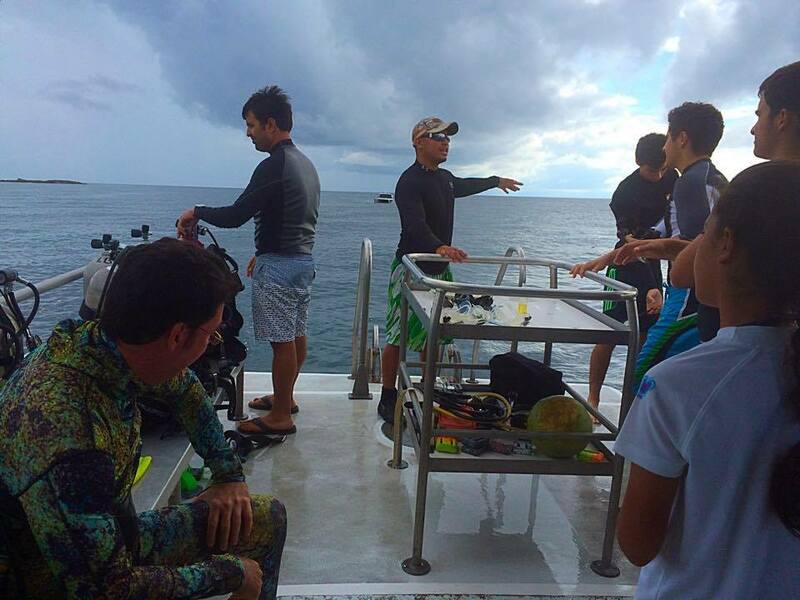 An upscale diving operation with a scientific connection, hosting important conservation projects such as Operation Wallacea. 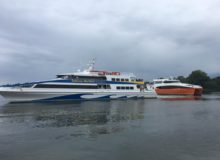 One of their pet projects Is the rehabilitation of a coral reef just in front their main dock, allowing for great shore diving and snorkeling. 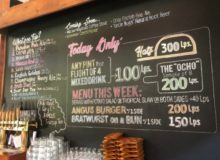 First class operation, with prices being on the high end. 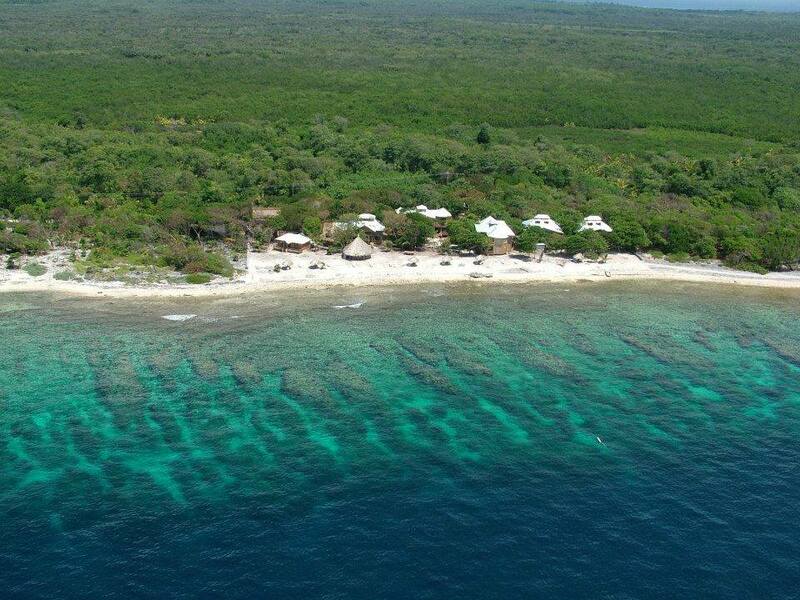 Coral Beach Village offers ideal diving facilities.